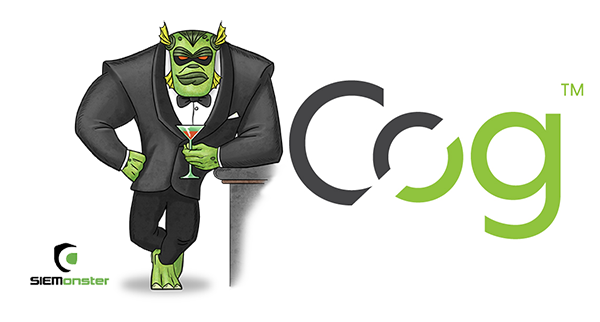 SAN FRANCISCO – Cog, makers of the world’s most secure smartphone, today announced a partnership with SIEMonster in which Cog’s D4 Secure platform will be embedded into SIEMonster’s remote event monitoring appliances codenamed Redback. This will offer defense-grade Security Information and Event Management (SIEM) to enterprises around the world in a Micro-SIEM appliance. Cog’s D4 Secure platform leverages modularity to isolate critical functions and services on connected devices. This approach proactively secures IoT devices by reducing the attack surface and increases reliability by eliminating single points of failure. The company’s solution embeds the additional security features of double encryption, non-bypassable VPNs, nested VPNs, and secure boot to protect the kernel, data, and network on the device. The system can scale linearly and infinitely, thus reducing bottlenecks and preserving performance. Both Cog and SIEMonster are part of the San Francisco Landing Pad created by the Australian Trade and Investment Commission (Austrade). The 90-day program, delivered in partnership with the AustCyber, the Australian Cyber Security Growth Network, helps market-ready startups grow their businesses by facilitating in-market business development, introductions to investors and mentor networks, and strategic partnership opportunities. The companies will demo their solutions on April 19 during the RSA Conference in San Francisco. The new devices are expected to be commercially available in the third quarter of 2018. For more information, visit: http://cog.systems/. For more information, visit: http://cog.systems/. SIEMonster is the brainchild of a team of professional hackers with over 20 years’ experience hacking into companies around the world. Using this experience, SIEMonster has built modern security SIEM tools for companies wanting to detect threats and risks to their organization. SIEMonster is an Enterprise-grade Security Information and Event Management (SIEM), built on scalable, open source components. It all began when a global manufacturer detailed their frustrations at the exorbitant licensing costs of commercial SIEM products and asked whether we could build a SIEM to minimize these annual license fees. We thought that was a great idea, and set out to build a SIEM that we would also use. SIEMonster now provides SIEM products for Managed Security Providers (MSSP’s) and Security Professionals around the world. For more information, visit www.siemonster.com. Founded in 1986, Online Business Systems is an information technology and business consultancy. We help enterprise customers enhance their competitive advantage by designing improved business processes enabled with robust and secure information systems. Our unsurpassed delivery, our people, and the Online culture of loyalty, trust, and commitment to mutual success set us apart. Today we have nearly 300 business and technical consultants throughout Canada and the U.S.
For more information, visit https://www.obsglobal.com/.